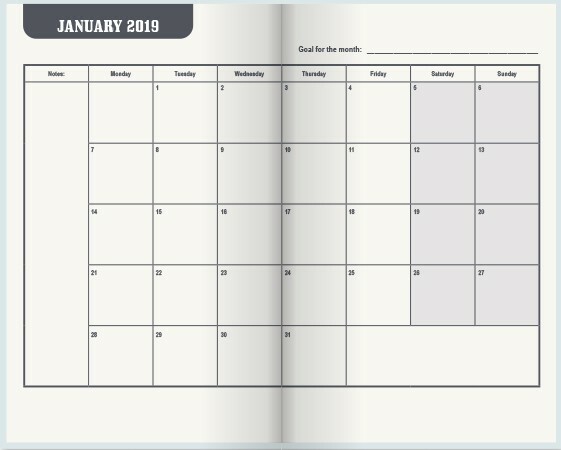 2019 Pocket Appointment Calendar (English) New 2019 4.25" X 6.625". Year text printed on the front cover. Daily service time record page, important date page, year at a glance, address page and more. Plastic cover included.